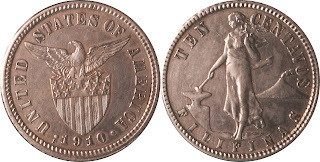 The 1910-S Ten Centavos is hailed by collectors as “the fantasy” of Philippine numismatic. Though the coin has been properly documented by historian, its rarity and the controversy behind it made it as the most difficult coin to be claimed as existing. According to historical records, the coin was then displayed at the National Museum together with the also lost remains and bolo of Andres Bonifacio. During World War 2, American air planes bombed the western portion of Manila and many building and infrastructures were destroyed. Including among the badly damaged building, was the National Museum itself. Due to chaos and looting, many believed that some of the important artifacts including the skeletal remains of Andres Bonifacio were either stolen or left beneath the ruble. The 1910-S Ten Centavos including its record which was also on exhibit and an attraction of the museum were among those lost treasures of Philippine history. Less than half a century later, the news broke-out that a specimen has survived even though most numismatist and collectors still doubt of its mintage. 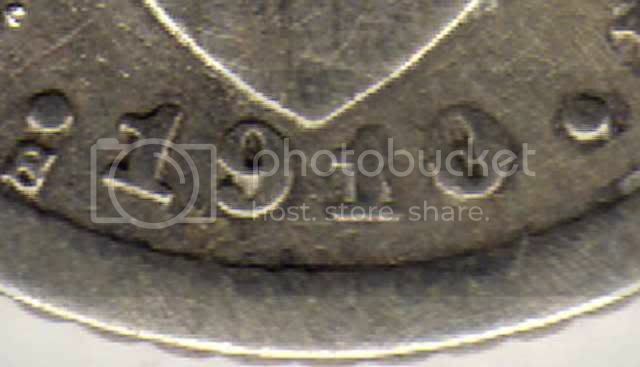 In fact, I have already featured the coin and even got an image of it in closed-up. In the late 80's or 90's, PCGS even certified a lone specimen at F-12 which according to the locals, was also later doubted because of pressure from the controversy. The controversial story behind the fable coin came when forgers and local artisans were accused of massively reproducing 1910-S Ten Centavos using a real coin which otherwise closely resemble the date of the actual coin, that is the 1918-S Ten Centavos. The news was sensationalized by the local dealers that even Krause Coin Catalog itself noted that many counterfeits of the fabled coin were produced. Since then, whenever a 1910-S Ten Centavos where brought to the realm of reality. Dealers and collectors alike would accuse the coin as fake or counterfeit even before it reach the realm of their logic. The stigma of owning and defending the existence of the 1910-S Ten Centavos came to be and thus, not even a single discussion was created to fave way and clear the stained status of the 1910-S Ten Centavos. Until recently, this site tackled it in one of its early articles. The 1910-S Ten Centavos that was featured is in EF condition but because the owner himself wants to protect his identity, we only got a closed-up image but not entirely the coin itself. It would have been better if we could have made a closed-up picture of the date yet however, such image was already enough to raise our curiosity and persistence finding another specimen. 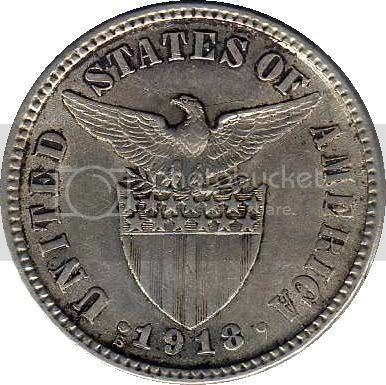 According to old-timers and long time dealers, you can be struck by lightning twice but finding a 1910-S Ten Centavos is like winning a special kind of lottery which I believe is very true. With an estimated value of no less than $100, 000, such amount is already an equivalent of a sweepstake pot. I discovered that finding the counterfeit coin is as hard as finding the real coin itself. There were many news from the locals that they encountered fakes but the odd thing is none of them hold even a single fake specimen. 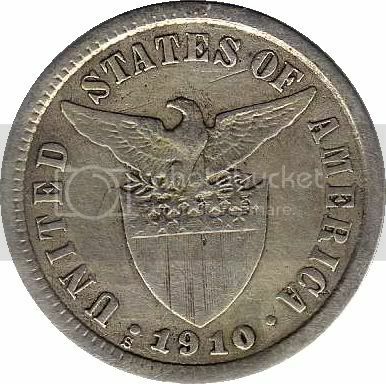 I suspect that the 1910-S Ten Centavos is otherwise a victim of “tsismis” or gossip which the locals are notorious for. The intriguing fact about the local dealers is they are known for their hasty declarations and accusations without giving any basis for it which is usual whenever they want to devalue a certain coin so they could buy it cheaper. The problem is news spread quickly so, such statement would often be taken seriously by others. Such unethical culture and practice has affected many coins and collections which should have received more attention and studies rather than being filed on the already bulging stocks of “fake there and fake that”. The “Mafioso” or mafia style of local dealers have definitely affected the transfer of knowledge from one generation of collectors to another for fear of competition and thus, they would rather keep their mouth shut or snub the queries of novice and neophyte collectors. Since no local dealer posses any known specimen of the 1910-S Ten Centavos and its counterfeit, local dealers have already killed the 1910-S Ten Centavos by their declaration that any specimen that may surface even in the future will surely be fake. Luckily, a set of genuine and counterfeit 1910-S Ten Centavos appeared side by side. As anticipated, nobody entertained to take a glimpse on the set of coins which I have managed to buy at a bargain price. I otherwise assumed that I am buying fakes or counterfeits since such is part of my collection. I have been collecting counterfeit coins, banknotes, and stamps for future reference so it would be easier for the next generation of collectors to get into the hobby rather than go through hard stages that I've experienced. Counterfeit items are much easier to identify than altered or forge items. The difference is magnanimous since the latter are made of genuine coins. Mostly ordinary coins are made into rare coins using extraordinary craftsmanship and application of tremendous hand skills. The 1906-S One Peso is a cliché in the world of forgery since there is an available host coin and a reference coin to copy and imitate. So as rare coins from the United States and Philippine-Spanish period like the 1916-d Mercury Dime, 1921-P / D Mercury dime, the 1921-S / D / P Half Dollar, the 1880 Alfonso XII 50 centavos and 10 centavos, and the 1884 Alfonso XII 50 centavos and 10 centavos have in common. For the coins mentioned, one characteristic that made it easy for forgers to alter the dates from these coins is because of their form. 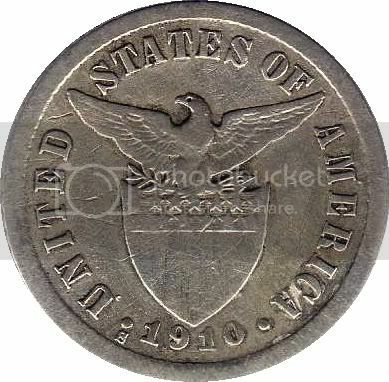 Unites States coins from the 1900 especially their small denominations have simple and wire-strand dates, in addition their very small mintmark can be easily erased by simple soldering or sanding. Meanwhile, the dates of the Alfonso series are not that smooth and the edges of the dates appeared to be rough which made it vulnerable to alteration. 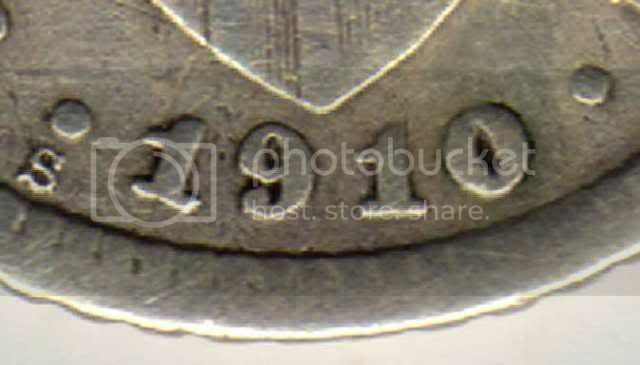 Even the “0” on the 1880 dates have rough edges and the dates are not well-shaped compared to the United States-Philippines series and the older coins of the United States. The fact that there are three Minting house in the United States producing coins simultaneously each year, forgers have easy access to host coin candidates like the 1916-D Mercury dime where they can utilize either the Philadelphia or San Francisco minted coins. which are very common . This is the reason why perfectly forging a coin to transform it into a 1906-S One Peso is the hardest of all local forgeries. 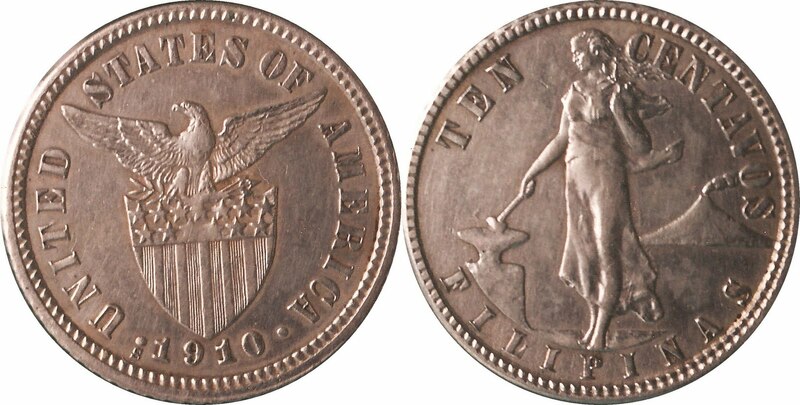 For simple reason, dates of the coins from the US-Philippines series particularly from 1903 – 1935 are well made and well-struck. The dates have very hard to imitate curves, serifs, edges, forms, and precise sizes of each number from 0 to 9 and thus, the climax and pinnacle of every local forgers is to particularly duplicate the 1906-S One Peso. So hard, that each sample that can be as good the genuine takes no less than a month including the process of toning. Usually, forgers applies grease or oil on the coins surface then baked it inside an oven to hide repairs and alterations they made unto the coins. For the novice and neophyte, these cannot be detected alone by the eye or even with the aide of jeweler loupe if not particularly pointed out. Another good reason that should be noted is the application of simple logic that any object that is foreign to its host will definitely show itself and would particularly be separated from the whole. Whenever a forger alter the date of the coin, he would either hide it using grease or speed up its toning to hide away the changes because the color of the altered date is exceptionally different from the rest. First and foremost, the 1910-S Ten Centavos is in fact one the hardest coins to forge because of its rarity. The fact that there is no available original coin to imitate and given that each number of the dates have unusually precise sizes hinder the forger to easily transform a 1918-S Ten Centavos to a 1910-S Ten Centavos. The precise curve and shape of the last digit “0” is very hard to imitate. One would simply noticed that the space in the middle of “0” is perfectly elongated and the exceptional dimension of the uneven shape that house that precise space is particularly well-detailed. One aspect why we should have given more credence and respect to its designer Melecio Figueroa.